Saudi Arabia, which is among the countries having blacklisted the Muslim Brotherhood as terrorist, is still cracking down on the movement as evidenced by the recent decision of the Riyadh-based Imam Muhammad Ibn Saud Islamic University. The University, one of the biggest universities in Saudi Arabia, announced Tuesday that it will not renew the contract of a number of Saudi and foreign academics after finding “evidence that they were influenced by the terrorist Muslim Brotherhood ideology and other similar organizations,” reported Asharq Al-Awsat daily Wednesday. 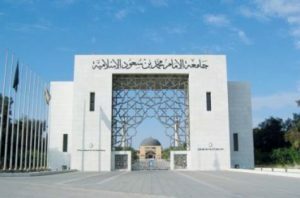 According to the daily, the University issued a statement explaining that “following a detailed and permanent follow-up conducted by its Rector Dr. Suliman Aba Al-Khail, the university’s administrative council advised not to renew the contract of a number of Saudi and foreign academics who are affiliated to the ideology of the terrorist Muslim Brotherhood”. The daily quoted a professor of political social sciences at the university, Abdullah al-Assaf, describing the decision as “a good step,” and stressing the importance of purifying all universities in addition to the public education sector from such ideologies. Posted by Jaber Ali on Sep 20 2017. Filed under Gulf News, Headlines. You can follow any responses to this entry through the RSS 2.0. Both comments and pings are currently closed.